Two valves with valve guards - all valve design for true vintage valve tones. Low voltage supply at 24v DC. 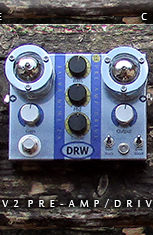 Compact robust functional design as you'd expect from DRW. 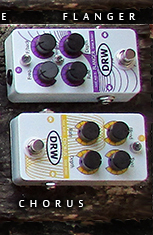 Each pedal made to order with a lead time of approximately 14 days - four different colour ways available - internally these pedals are identical.